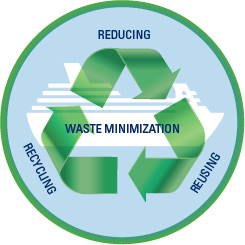 Our waste minimization program consists of reducing, reusing and recycling. We work to reduce the volume and toxicity of our waste. treating waste on board to minimize volume by stacking, shredding, crushing and incinerating. replacing older equipment with new equipment, designed for non-toxic products. Our ships donate tons of usable items, including mattresses and clothing, at ports-of-call around the world. We receive certain supplies in plastic and metal drums, which we reuse as waste receptacles, thereby avoiding the need to purchase waste containers. We strive to recycle as many items as possible. 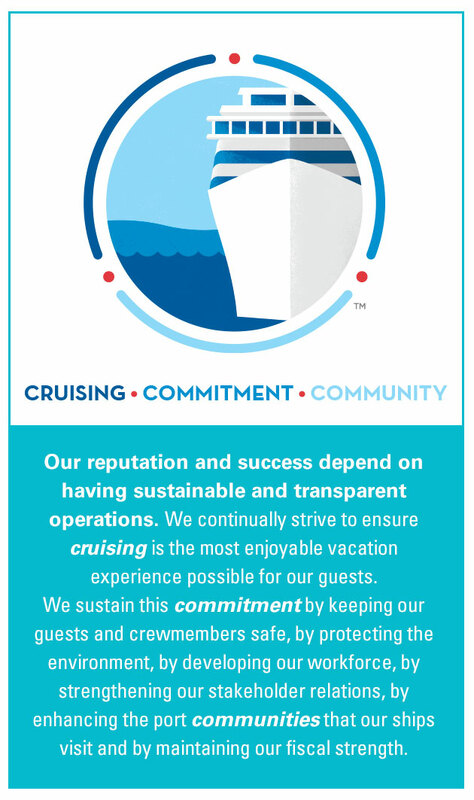 We place recycling collection containers throughout the ship so our guests and crew can segregate the various recycling materials. We offload collected materials for recycling at ports around the world, including plastic, glass, paper, cardboard, aluminum, electronic equipment, toner cartridges, batteries, fluorescent lamps, silver, scrap metal, oily waste and used cooking oil.